For the challenger, it takes plenty of shoe leather -- and front -- to hit the campaign trail in a safe seat. 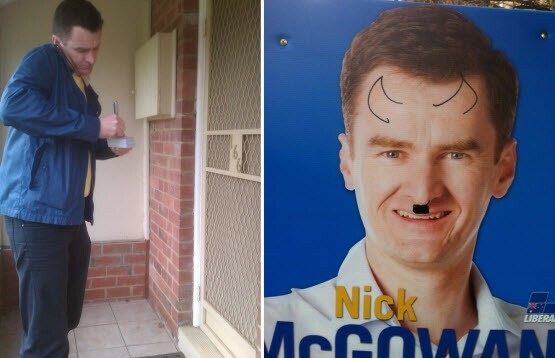 The Citizen's Michael Roddan tagged along with one such political hopeful. UPDATED: The Queensland government had serious concerns over funding Noel Pearson's Cape York welfare reform trial. Researcher Dr Kristian Lasslett reveals ongoing governance issues did give cause for concern. There's plenty of good news in the "closing the gap" report on indigenous employment. But the program outcomes are far from clear, writes ANU's Professor Jon Altman. 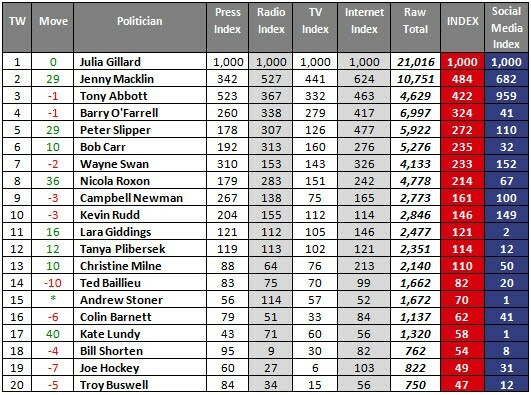 Julia Gillard returned to the desk early and soaked up media coverage on bushfires and the royal commission. And Jenny Macklin's gaffe won her headlines for the wrong reasons. The transcript of yesterday's joint doorstop interview with Julia Gillard and Jenny Macklin is painful evidence of the media's incapacity for perspective or sense of judgement, writes Bernard Keane. Sources inside the federal Labor caucus have questioned the wisdom behind media reports claiming the "Victorian Left" have unanimously rounded behind Foreign Minister Kevin Rudd, pointing instead to a fluid situation in which caucus members are still wavering. When Slippery Pete Slipper replaced Harry Jenkins as speaker in December, the most oft-heard observation was that it gave the PM some wiggle room to break her written agreement with Andrew Wilkie. Julia Gillard and responsible minister Jenny Macklin, the two Victorian ladies of the Left, seemed genuinely committed to pokies reform before this week’s confusing antics.